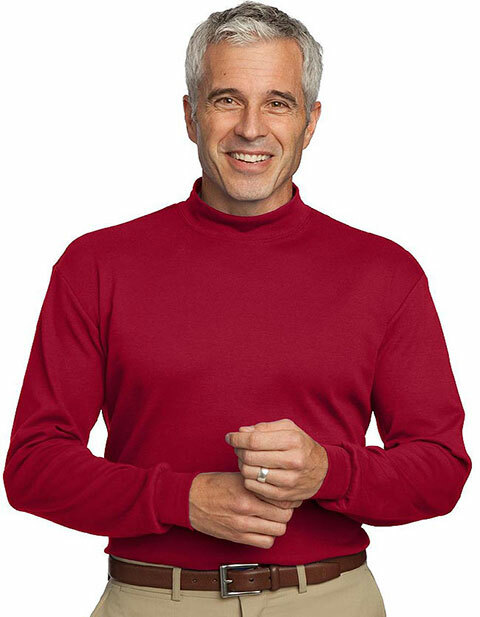 Sanmar Uniforms features a men's turtleneck shirt in an interlock knit style. This is perfect for layering and for extra warmth during the colder seasons. It features a super soft touch of spandex on the collar and cuffs for stretch and to retain shape. It has a coverseamed neckline, long set-in sleeves along with double-needle collar and hem. The fabric used for this is of 6.3 ounce of 100% ring spun combed cotton. It is available in nine solid colors to choose from and in sizes XS to 6XL.